I’ve spent the last 12 months working on this exhibition. The brief was to respond to the cathedral windows and Alter Frontal by William Morris. I’ve also been in collaboration with composer Monty Adkins. 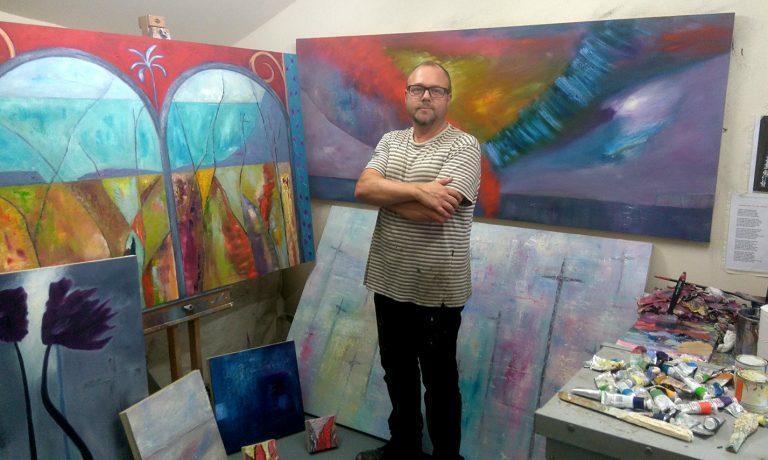 He has written an hour long piece of music to 3 of my paintings, whilst also responding to the William Morris work.